If you are dedicated, you invest a lot of time into learning. When you’re climbing to the top, you are always looking to find something actionable that will give you an edge. One gold mine of good information, and motivation to go achieve success, are podcasts. You can turn your commute time into a learning session, maximizing what would otherwise be wasted time. Or you can listen to a podcast at home, when doing household chores. Whatever the down time is in your day, you can put it to good use and enjoy it too! Here are the top podcasts for achieving success. Some are about the goal, some about the journey, but all are helpful to everyone who is looking to achieve greater things. 1. The Tim Ferriss Show is presented by the author of “The 4-Hour Workweek“. The podcast reveals the tactics, tools, and habits of various leading people’s success – and he interviews across varied fields! Previous guests include Jamie Foxx, Edward Norton, Tony Robbins, Maria Popova, Peter Thiel, Marc Andreessen, Amanda Palmer, Malcolm Gladwell, Vince Vaughn, Rick Rubin…and way, way more. 2. James Altucher is an entrepreneur, bestselling author, angel investor, and a chess master too. As James says, “I’ve started 20 companies, 17 of which have failed. But I’ve learned a lot along the way. If you’ve ever been stuck—in a job you hate, in a house you can’t afford, in a life you don’t want, in your own depressed mind, anything—I want to help you. Why? Because I get it. I’ve been there. And I want to tell you how I freed myself so maybe you can start to free yourself, too. As far as podcasts for achieving success go, James’ is as good as it gets. 3. 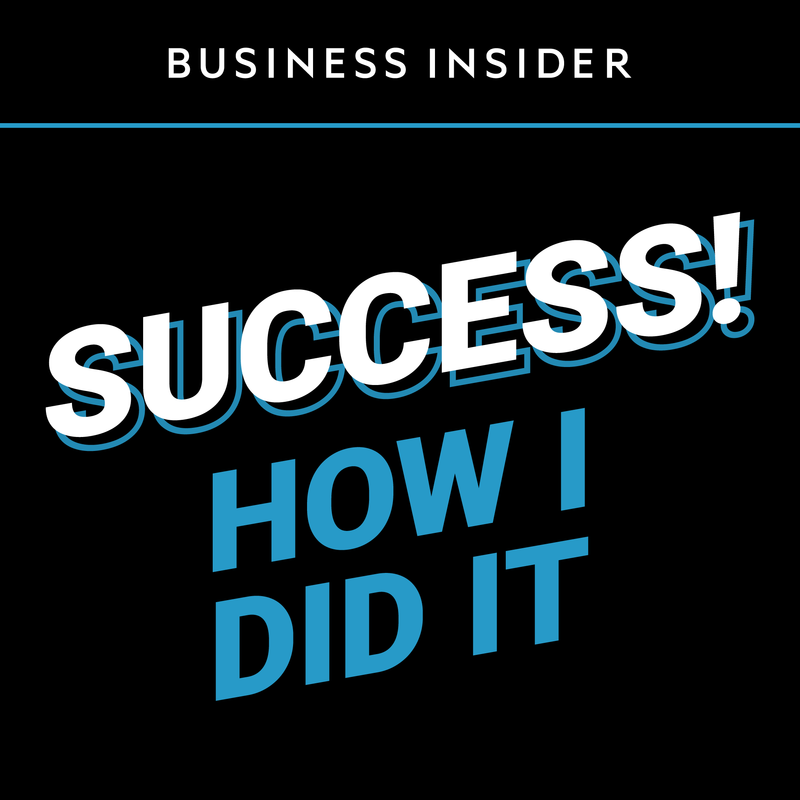 “How I Did It” by Business Insider features, on each episode, a conversation with one of today’s most inspiring business, sports, entertainment, and government leaders. They interview big names like Sheryl Sandberg, LeBron James, and the founders of companies like Lyft and Tinder. The stories they share and the insights they give are a must listen. 4. The “Strange Success” podcast is hosted by Jane Wells. She presents rags-to-riches stories – but they all have a twist. Jane likes to talk about people who had crazy ideas to solve problems you probably didn’t know exist! Besides having crazy ideas, they take an even crazier journey to success, filled with failures, rejection, and stupidity. Highly entertaining, really motivating, and helps you consider how to bring your ideas to market. 5. Gregg Clunis’ podcast is dedicated to fine tuning our small day to day behaviors to engineer success instead of push it away. He shares simple personal development strategies, and the habits you can develop to make them a part of your life. 6. Lewis Howes is a person with an incredible story. He went from struggling student with a failing family to pro athlete, only to suffer a career ending injury…and then picked himself up and started a multimillion dollar internet company and wrote a bestseller too. Lewis says success is about living your life authentically, instead of just chasing dreams – a great counterpoint to the “success at all costs” idea. 7. Mixergy is all about behind the scenes look at what made successful people succeed. The podcast features interviews with startup founders, where they share how they succeeded – and often how they failed first! Mixergy also has classes and courses for more “how to” topics, as well. 8. The Hustle Sold Separately podcast is all about successful people telling you their journeys. But there is a twist. Rather than focusing on their success, and telling the stories with the happy ending, the podcast zooms in on the struggles it took to get there in the first place. The podcast features tips for all of us who are looking to succeed. 9. Glambition is a podcast for women entrepreneurs. Host Ali Brown is successful entrepreneur herself, who overcame obstacles and challenges to become the voice she is today. The podcast features topics and issues unique to women, and is a wonderful resource for those women looking to change the world. 10. The Accidental Creative podcast is about creativity. The name isn’t what it seems – they define an accidental creative as “1. Person who structures their life so as to experience frequent creative insights (see also creative accidents), or 2. A company that helps creative people do brilliant work.” If you are looking for ways to be more creative, and actualize your creativity, this is a great podcast to listen to. While different than other podcasts for achieving success, unlocking your creativity is important to get there! These podcasts for achieving success are a great resource of information, and inspiration. See our Top 10 Podcasts for Productivity, too. PreviousPrevious post:Are You Project Management Compatible?